Our online boat maintenance book has a brand new look. It’s better looking, it’s easier to use. Whether you are a Master Yacht Services customer or not, signing up and using it totally FREE so please go and check it ou by clicking here. It was one of the most annoying drawbacks of the old version: it was unusable from your phone. Those days are gone! 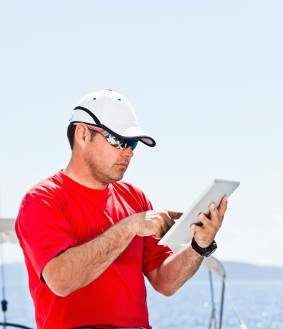 Even though there is still optimizations to achieve, you can now access all the features from your smartphone and thus from your boat! To accommodate the greatest number, we developed the Inventory, real pillar of your UNIVERSAIL space . Simplification of entry, sorting and filter options, simultaneous editing of several lines: inventory has evolved significantly in order to be always at the ready in reality! A still visible side menu now allows you to never get lost amid the many sections of your space owner. Whether to manage your personal information, interventions on board or under discussion quote: everything is now accessible in one click!